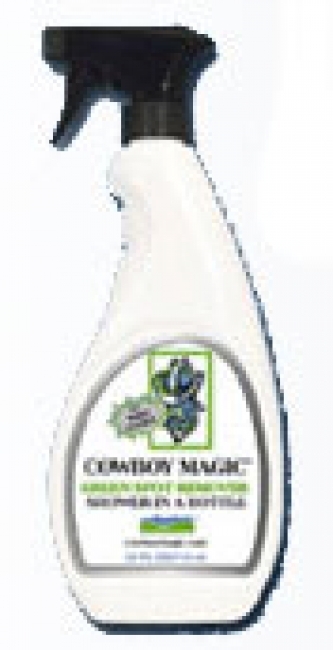 It is concentrated: Green Spot Remover/Shower in a Bottle is made from very expensive, natural, non-sudsing cleaners derived from plants. It works on people too: Green Spot Remover/Shower in a Bottle is great for campers and mountain bikers who want to clean up dirty, smelly bodies without using lots of water. The only water needed is to wet the towel to activate the ingredients that break down the sweat or dirt. Follow up with a dry towel to remove the sweat or dirt.